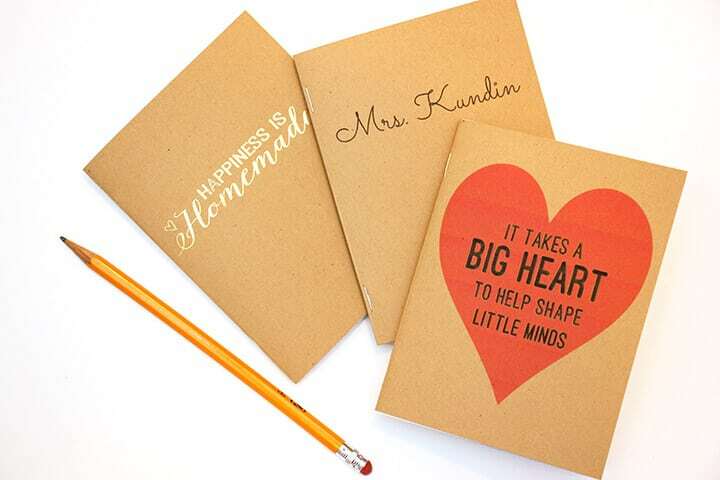 It’s time for another round of Craft Lightning, and this time we’re sharing quick and easy teacher appreciation gift ideas that are sure to please. I’m head over heels for these cute DIY notebooks that I whipped up in under ten minutes! My notebooks are 4.25″ x 5.5″ (half sheet sized), so I designed my cover artwork in Photoshop so that I could fit two covers per page. I printed the page on my color printer and cut it in half using the rotary cutter. 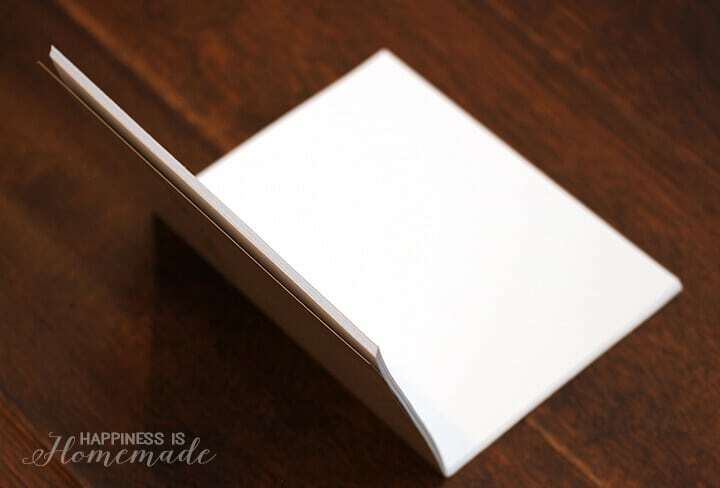 Fold each piece in half with a hard crease to form the notebook cover. 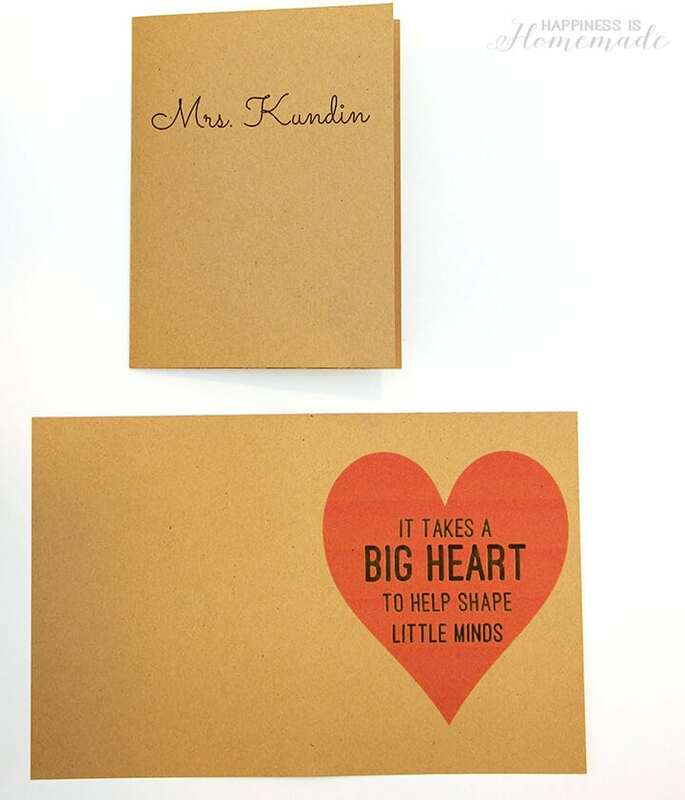 Cut 8-10 sheets of white copy paper in half, and fold the pieces in the middle with a hard crease as well. Nestle the white pages between the cover, making sure that the top and bottom edges of the paper are lined up correctly. 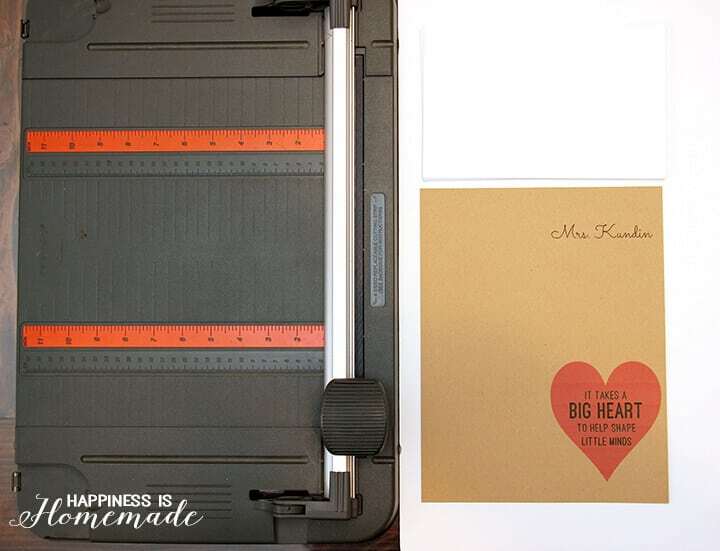 Use the long arm stapler to add 2-3 staples along the crease of the cover to secure the notebook together. 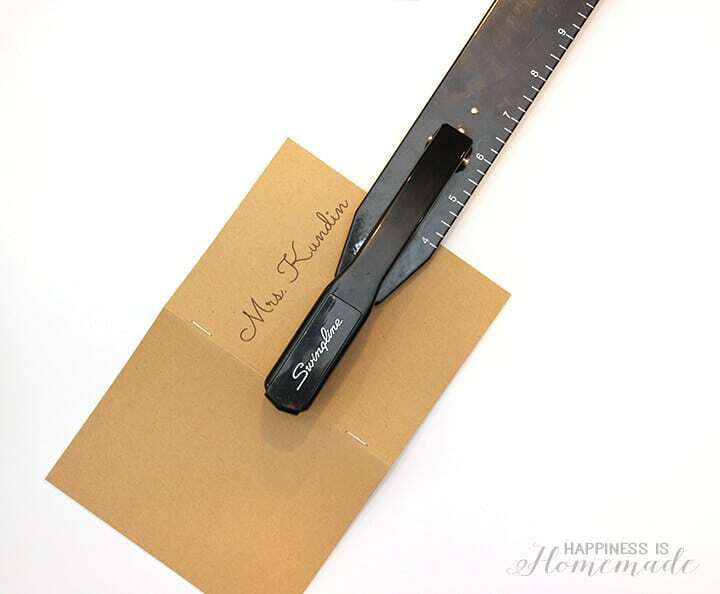 Trim any excess overhanging white sheets with an Xacto knife (using a metal ruler to guide the knife). 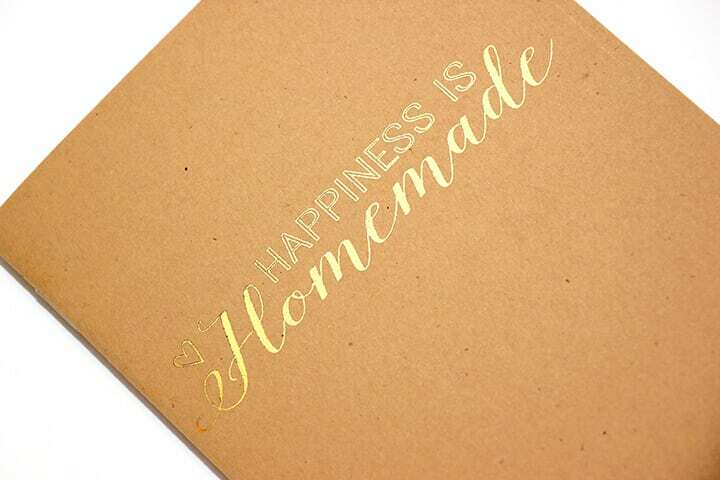 I even made myself a version with my Happiness is Homemade logo, and I used my new Minc machine to add gold foil to the letters – SO pretty (and ridiculously simple to make!)! 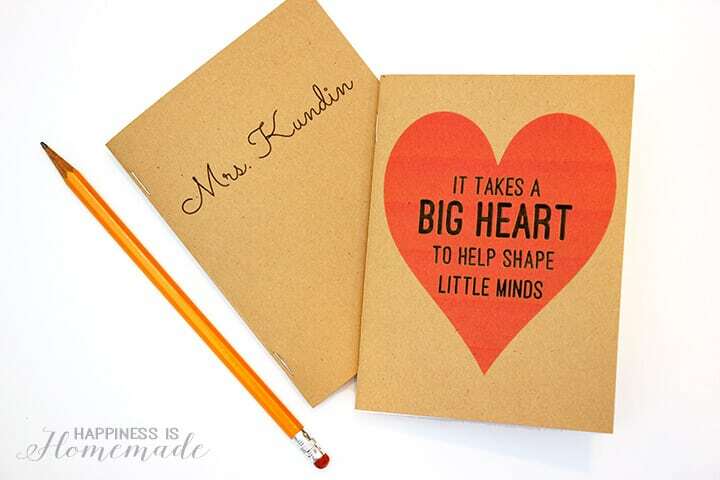 I made these cute notebooks with Teacher Appreciation Day in mind, but they would make a fantastic DIY gift for almost any occasion!